On Saturday October 19, 2013 the Franklin Borough Police Department conducted a motor vehicle stop on State Highway 23 near the Hardyston Elementary School. 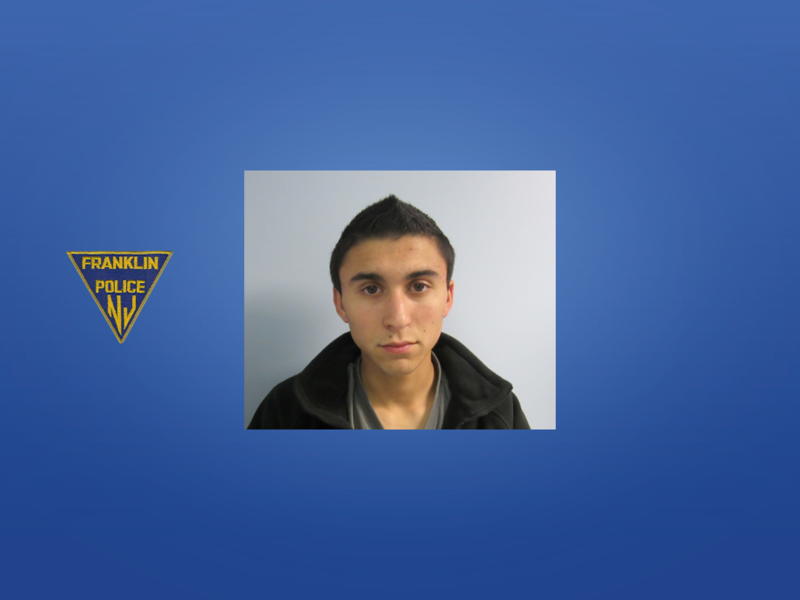 During the motor vehicle stop / investigation, a passenger in the vehicle, Mr. Christopher David Pennella, 19, of Franklin was arrested for possession of marijuana, use of marijuana, and possession of drug paraphernalia. Lieutenant Smith and Officer Jesse Babcock conducted the investigation and found Mr. Pennella not only possessed the narcotic but intended on selling it near the elementary school. Mr. Pennella was charged with possession of marijuana, use of marijuana, possession of drug paraphernalia, possession with intent to sell marijuana, and possession with intent to sell the narcotic within a 1000 feet of a school zone. Mr. Pennella was released pending a court appearance in Superior Court.